If news networks had been invented in 1809, they would’ve covered one story: Napoleon sweeping across Austria like a wildfire. Napoleon was the talk of the world, on the move from Trafalgar to Waterloo. Everything was about Napoleon. Now, at the same time, babies were being born, but who cared? Someone should have! Whole cadres of world-changers took their first breaths in 1809. Let’s take a trip back and see for ourselves. Our first stop: Liverpool, where Baby William is meeting the world. No one has a clue he’s destined to become Great Britain’s Prime Minister—not once, not twice, not three times, but four times. William Gladstone, 1809. Cross the Atlantic to Cambridge, and you’ll hear the cry of another baby named Oliver. A prodigy, Oliver enters Harvard at 16, graduates before 20, gets his medical degree, practices medicine, and begins teaching at Dartmouth and Harvard. Today, his legacy includes a long list of still-respected books. Oliver Wendell Holmes, 1809. Travel up and cross the Charles River until you get to Boston, where another baby, Edgar, is being born. Edgar’s father quickly abandons him; soon after, his mother dies. A family named Allan take Edgar in, and he takes their last name as his middle. He becomes the father of the American short story. Edgar Allan Poe, 1809. Back across the pond, journey to Shropshire, where a family welcomes their fifth child, a boy. Soon, they realize they have a young scientist on their hands. Before he dies, he’s spread his theory of evolution around the world. Charles Darwin, 1809. Over in Lincolnshire, Baby Alfred takes his first breath. Before he’s buried, he becomes the poet laureate of Ireland and Great Britain, still among the most admired and prolific poets. Alfred Lord Tennyson, 1809. We can’t leave out a one-room log cabin in Kentucky, where Thomas and Nancy are thrilled to welcome their second child, whom they name after his grandfather. They can little imagine their baby will lead the nation through civil war. Abraham Lincoln, 1809. All these men born in 1809 . . . but who cared? Few historical buffs could name one of Napoleon’s campaigns! What seemed super-significant proved, ultimately, no more exciting than a Sunday-afternoon nap. What seemed totally insignificant was, in fact, the genesis of an era. Let’s go back farther, to the first century. Rome captivated the world. Bordered by the Atlantic, the Euphrates, the Danube and the Rhine, and the burning sands of the Sahara, the Roman Empire was vast and vicious. Political intrigue, racial tension, rampant immorality, and enormous military might occupied everyone’s attention. All eyes were on Augustus—the Caesar who demanded a census. No one cared about a couple making the 90-mile trip from Nazareth to Bethlehem. What could be more important than Caesar’s decisions in Rome? Yet, mighty Augustus had unintentionally become a mere errand boy for the fulfillment of Micah’s prediction. While Rome was busy making history, God arrived. He pitched His fleshly tent on straw in a humble Bethlehem stable. Reeling from the wake of the Greats—Alexander, Herod, and Augustus—the world overlooked Jesus. It still does. Many believers do too. Our times aren’t altogether different than 1809 or even the first century. That list of Roman distractions sounds familiar, doesn’t it? Political intrigue. Racial tension. Rampant immorality. Enormous military might. To enhance our tunnel vision, we DO have news networks. Most of us have smartphones that alert us to every new development in (and friend’s opinion about) the “it” story. It’s easy to get sucked into the fear and anxiety. Don’t misread me. The events flashing across our news channels matter. Some of them have deeply impacted you. They are not trivial. But make no mistake—Satan wants to distract you from the message of Christmas. It’s a message we need today as much as those who lived under the crushing weight of Rome’s heavy boot. So, here it is: Immanuel—God with Us. Christmas is about God’s coming down to live in this weary world with us. The long-awaited Messiah finally letting out His first cry. The Savior, the only Hope for a world that drowns Him out. The conquering King of Kings, who is coming again to make wrong right once and for all. That King is OUR King! As life rages around you, please pause. Feel the truth of God’s drawing near to you. 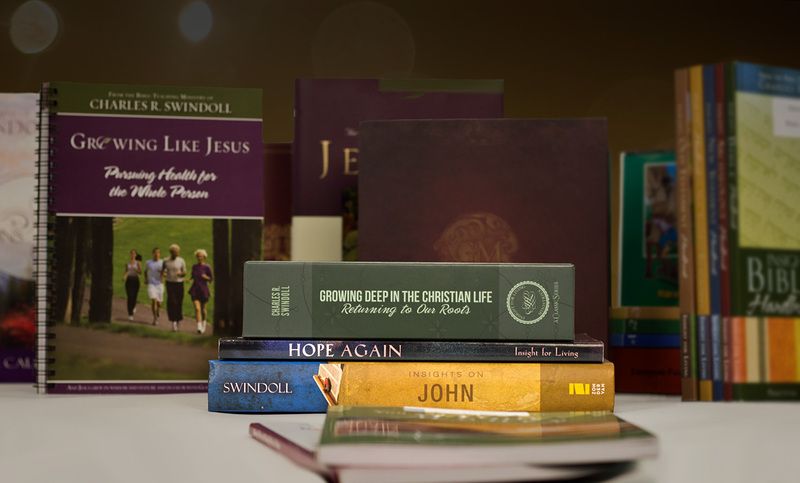 Let His Word drive out your fear and let His hope bind your heart. Fix your eyes on Him and receive your King! 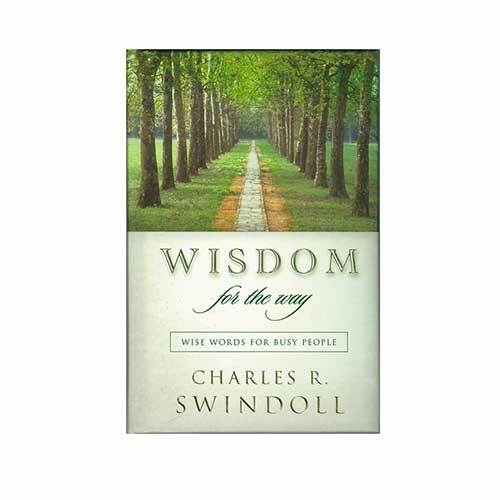 Copyright © 2017 by Charles R. Swindoll, Inc. All rights are reserved worldwide.